The City Form Lab offered a workshop on grid-structures at the GSD from Aug 22-26, 2016. 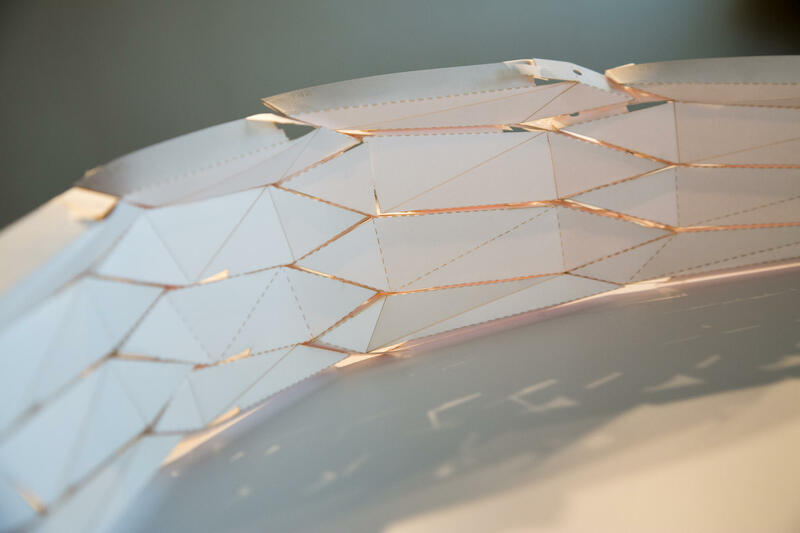 The workshop introduced participants to a new Rhino Python library developed at the City Form Lab that enables the design and fabrication of complex double-curvature structures. 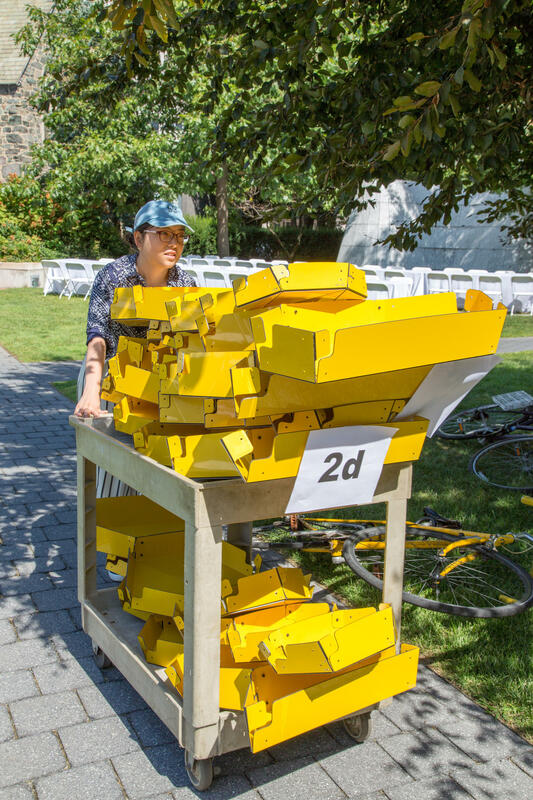 The library can be used for both model-making and full-scale construction applications. The workshop had two parts. In the first half of the week, participants were introduced to the grid-structures Rhino Python library. 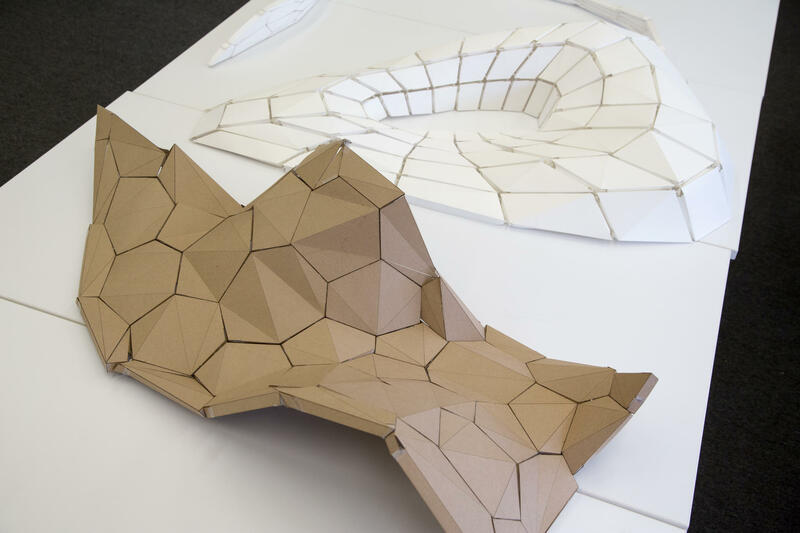 Teams designed their own grid-structures and fabricated scale-models on a laser-cutter. 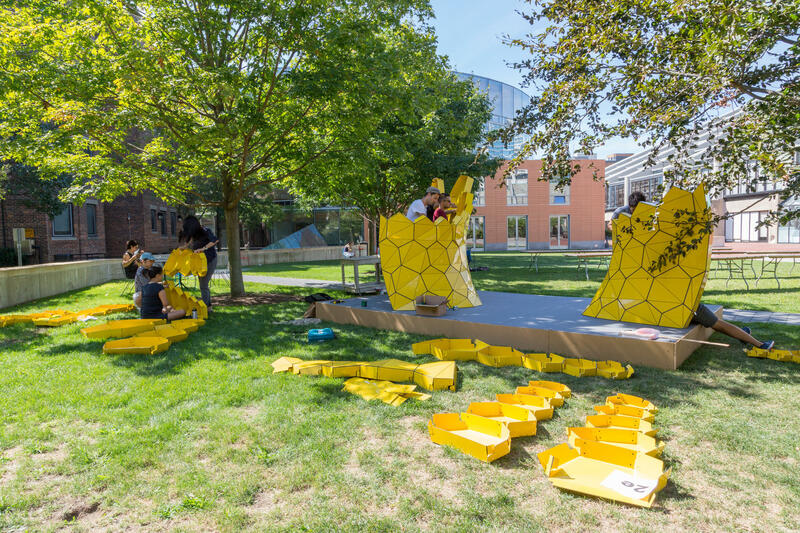 During the second half of the week, participants jointly assembled a full-scale prototype structure in the GSD yard. 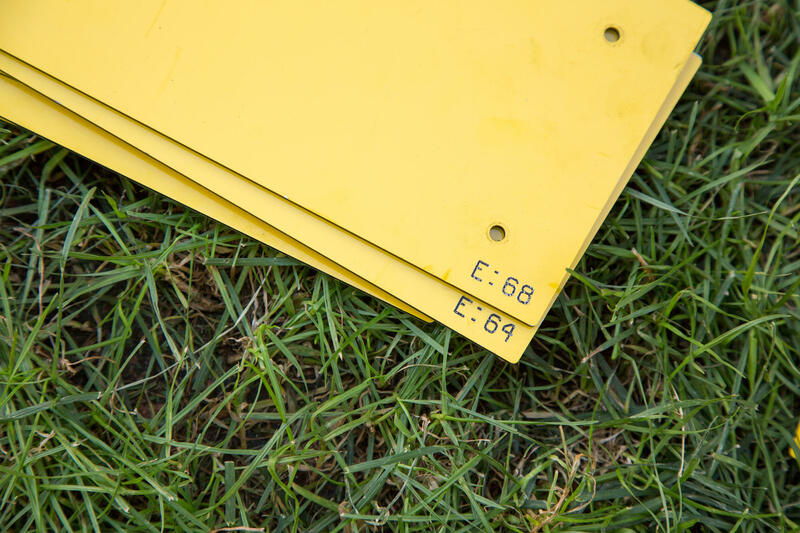 The latter part involves manual assembly of pre-cut panels using nuts and bolts during 2 days. Students gained a first-hand experience of constructing a gridshell. Participants were expected to take part in both parts of the workshop. There were no pre-requisites for the workshop, but prior experience with Rhino 3D software and laser-cutting was very helpful. Students with no laser-cutter training had an opportunity to get trained on the first day of the workshop. Architectural design of complex structures has made a quantum leap in the last two decades. Computer aided design and analysis tools have expanded the horizons of architectural form, similar to the way in which descriptive geometry expanded the possibilities of masonry during the Enlightenment. But construction technology that enables the fabrication and assembly of new architectural geometries has not kept pace. Complex forms of most contemporary buildings rely on relatively traditional column-beam support systems, infill and cladding. More advanced structural solutions require complex fabrication, such as three-dimensional CNC milling and highly skilled assembly labor on site – requirements that are well beyond budgetary constraints of most architectural projects. 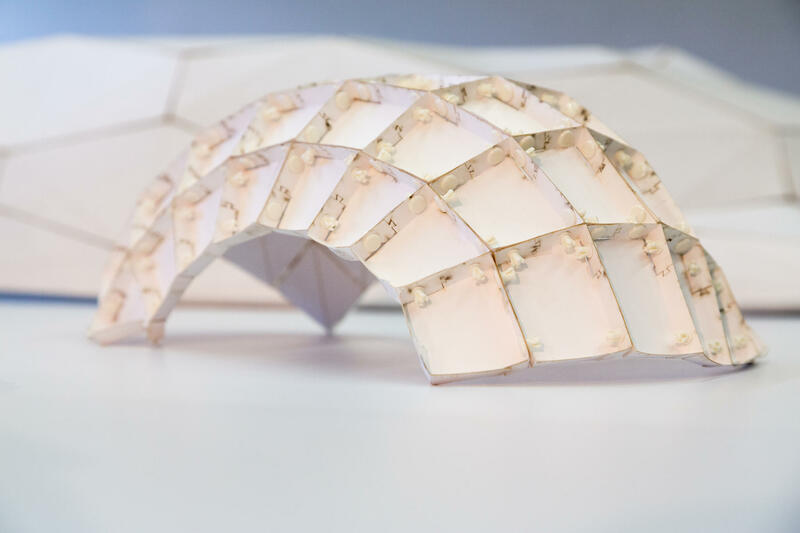 The City Form Lab’s research on grid structures has developed a novel building technology solution, which enables prefabricated double-curvature structures to be built with non-specialized labor at a very low cost. 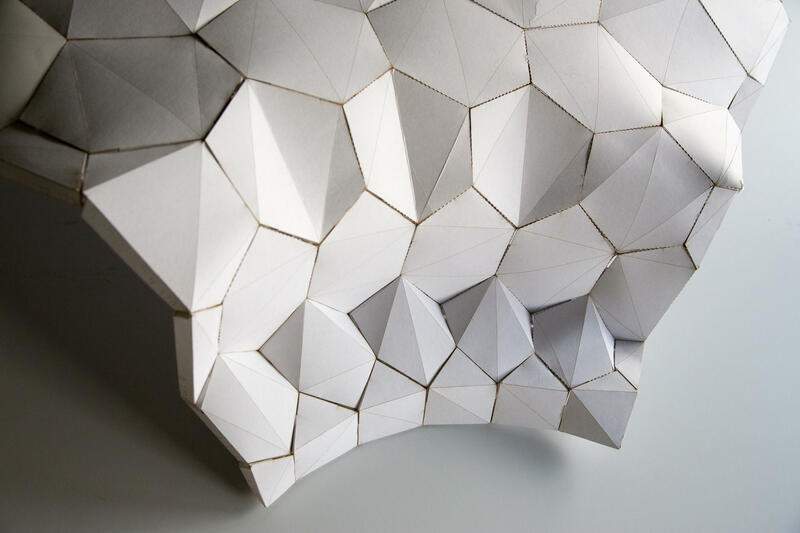 This is made possible by using standardized flat-sheet materials, limiting all fabrication to only two-dimensional cutting and relying on structural folding to achieve desired geometric forms. 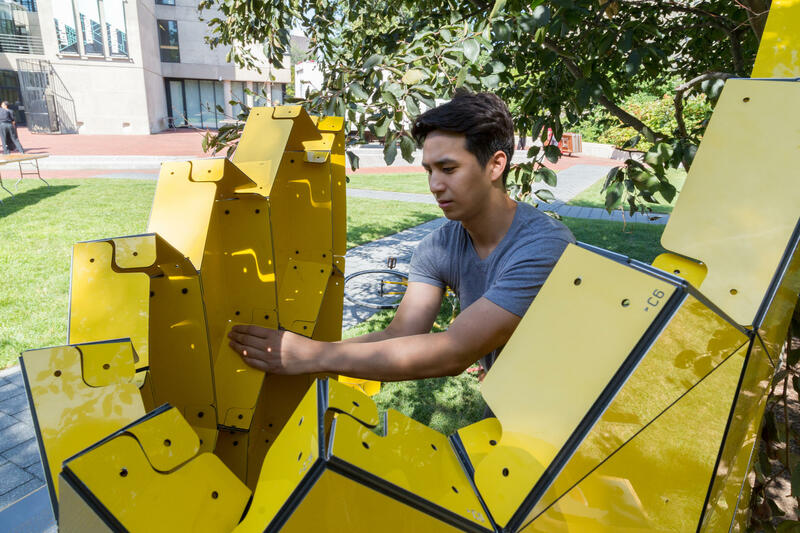 Constraining all structural elements to strictly flat material sheets, using shape outlines that are cut only at a perpendicular angle, reduces fabrication costs and makes complex spatial structures available to a wider audience. A custom RhinoPython library was developed to automate the generation of double-walled flat-panel structures from a user-provided line network. The geometries of all structural elements are jointly controlled by adjusting the underlying line-network and associated material parameters. 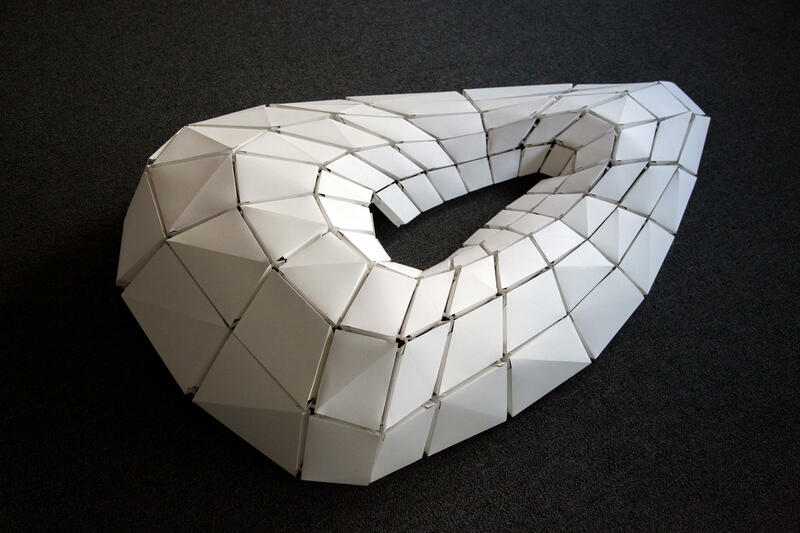 The RhinoPython library regenerates the geometric solution when the network is altered, complete with fabrication-ready unfolded panel drawings, marked with unique IDs on each element. 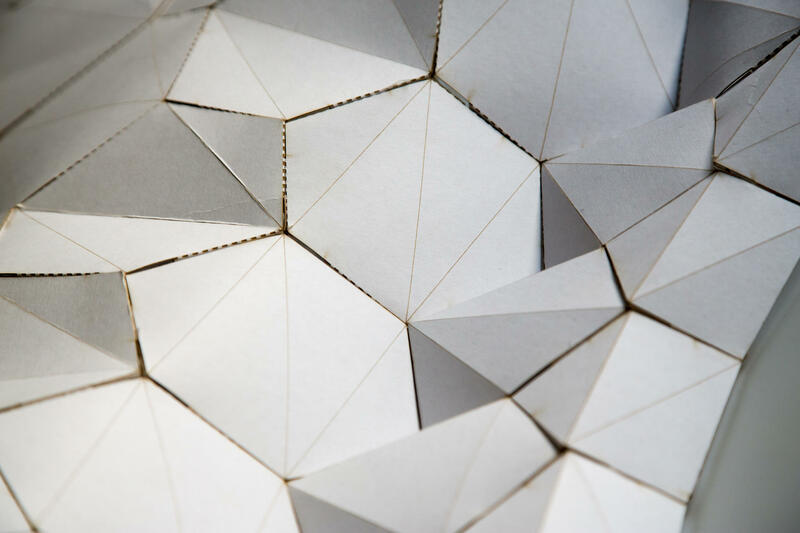 The developed solution allows full-scale grid structures to be generated from freeform line networks using very flexible structural patterns, ranging from triangles, quads, pentagons, hexagons or any regular or irregular n-gons. SUTD gridhsell, the URA Re-Imagining Cities Exhibit structure, and the Tallinn Architecture Biennale installation. Location: Room 121, Gund Hall. Times: 10AM - 4PM, Mon-Fri (Aug 22-26).